Nokia has been all over the news recently, with the launch of its impressive Lumia 1520, 1320 and most recently the Black Update that it released for its Lumia range. However, despite all its latest devices running on the Windows Phone OS and the imminent Microsoft takeover, Nokia is rumoured to be launching an Android device. The handset was dubbed Nokia Normandy for several months until this week when the name Nokia X surfaced. We’ve rounded up all the rumours to give you an overview of what to expect from the Nokia’s new device and we’ll be updating this feature regularly, so remember to check back to ensure you’re up to speed. Rumours began in September 2013 of an Android-powered Nokia device after the New York Times reported its sources suggested a team within Nokia had Lumia handsets “up and running” on Android before the Microsoft buyout. It was a couple of months before any more rumours of the device appeared, but now they are in full force with a release date of 2014 being reported in December 2013. The same report suggested the project was “full steam ahead”. There was also a report in December 2013 claiming the Nokia Android smartphone had been ditched in favour of wearables, but there has continued to be a buzz surrounding it, so it looks like the Normandy/X project is still ongoing. The most recent rumours suggest the Nokia Normandy/X will make its debut at Mobile World Congress in Barcelona at the end of February. Nokia sent out invitations to its press conference at MWC, so it seems a reasonable suggestion for any announcement. 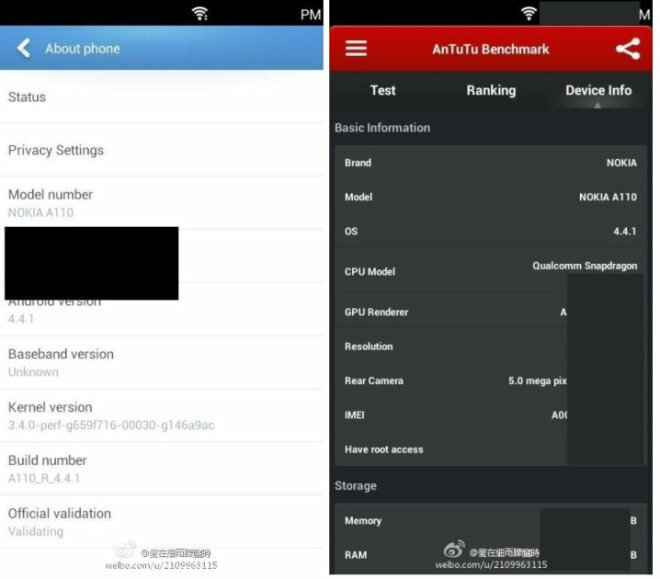 The display on the Nokia Normandy/X is rumoured to be coming with a 854 x 540 pixel resolution, after it showed up on an AnTuTu benchmark test under the codename A110. 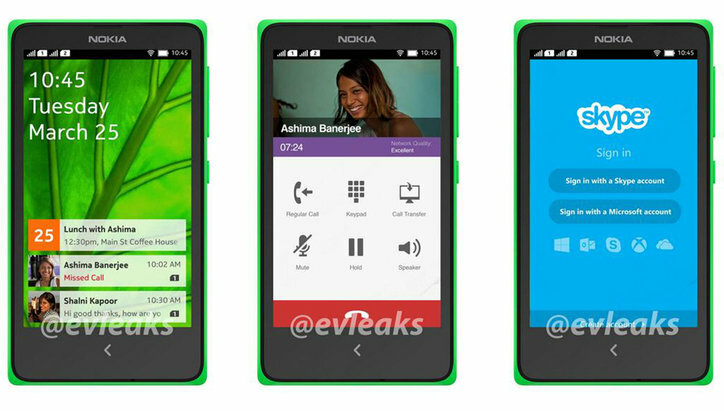 It is also claimed to be coming with a 4-inch display according to Nokia Power User and The Verge. A 4-inch display with 854 x 480 resolution has also appeared on a Vietnamese retailer’s website. There has been little else regarding the display in terms of rumours, but if both the suggested size and resolution are accurate, the Nokia Normandy/X will come with a pixel density of 253ppi. 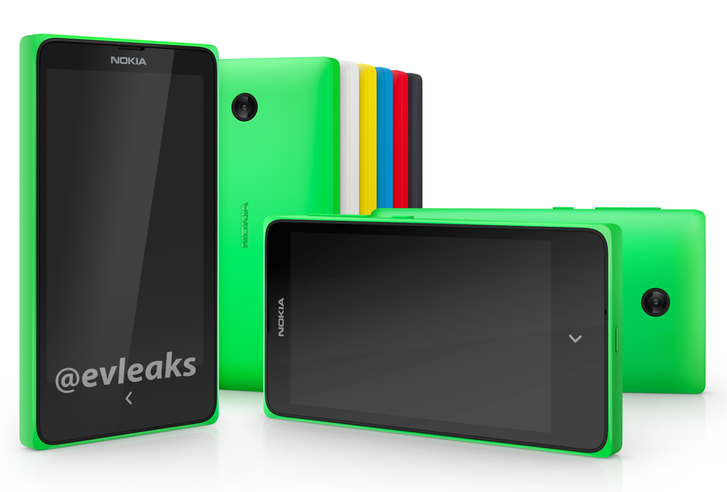 In context of the rest of the Android, that would put the Nokia X towards the small end of the market. The Nokia Normandy/X is said to be aimed at the low-end of the market, just like the Nokia Asha devices, and there have already been a number of leaks showcasing what it might look like. A leaked press shot was revealed by @evleaks in December 2013 showing a red device with one single back button in the middle, similar in style to the Asha line. Another press shot appeared swiftly after the first one in December 2013 from the same source, this time revealing a range of colours including a bright green, white, yellow, blue, red and black. The reports of a single touch button in the centre of the device and a design similar to the Asha range have also been supported by some images on China’s Weibo site. However, more recently it was suggested the design of the Nokia Normandy is more in-line with the Lumia range except for its single back button after another leaked shot appeared online, this time from @ViziLeaks. 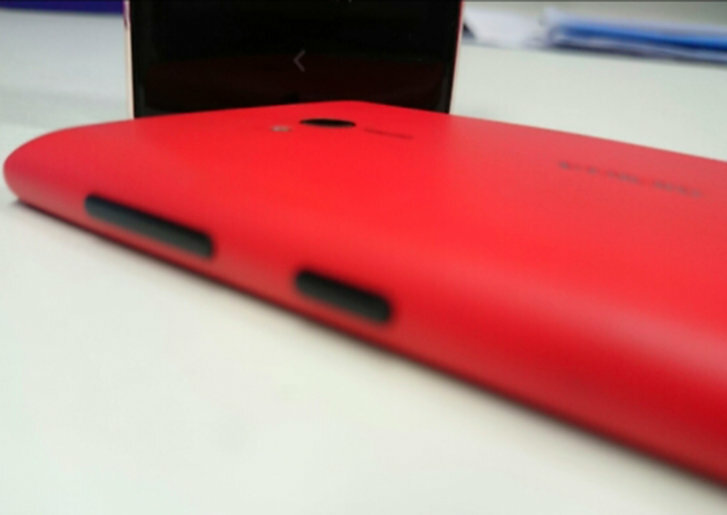 The image presents a matt red polycarbonate back, along with the usual side buttons for power and volume. The Nokia Normandy/X is also reported to be coming with dual-SIM capabilities. 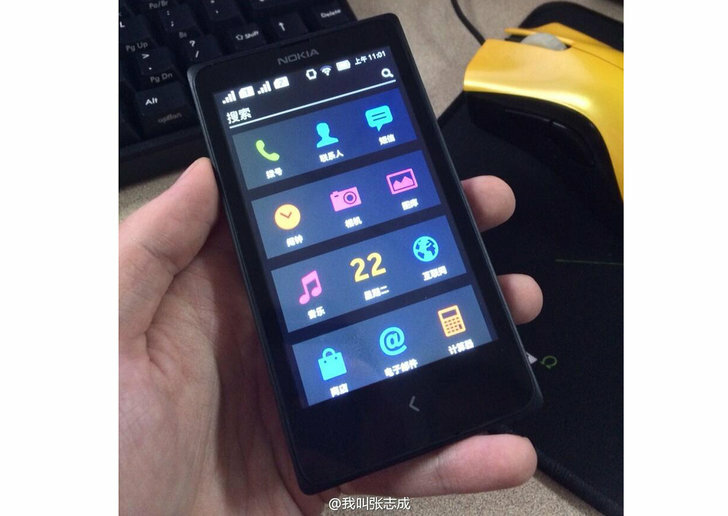 The Vietnamese retailer’s website posting lists the Nokia Normandy/X as dual-SIM and shows it with a single back button. The Nokia Normandy/X is expected to come with a Qualcomm Snapdragon CPU and although the AnTuTu benchmark didn’t reveal which, The Verge suggests it will be the S4 processor. According to the Vietnamese retailer website, the processor is shown as a dual-core 1GHz chip. This older hardware again suggests that this will be at the more affordable end of the spectrum. The Verge also suggests the Nokia Normandy/X will be supported by 512MB of RAM and will come with 4GB of storage, along with microSD for further expansion. If that’s the case then Nokia is presumably not looking to complete with the likes of the affordable Moto G, as the rumoured hardware loadout is similar to budget devices a few years back. 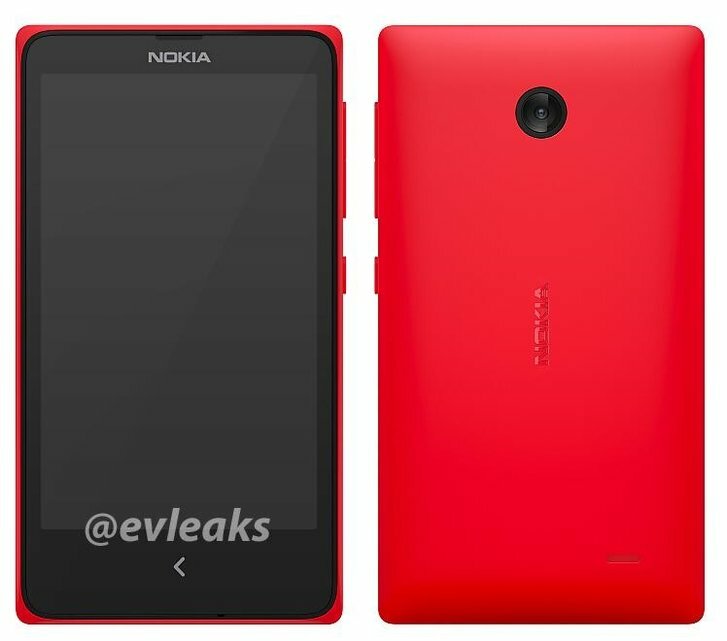 In terms of camera, images from @evleaks suggest the Nokia Normandy/X will feature a similar basic flash-free camera just like the Asha line. There have also been claims that it will come with a 5-megapixel snapper following the appearance on the AnTuTu benchmark test. However, more recently, rumours have suggested the camera would be coming with a flash after an image appeared showing the flash on the rear of the device, and there have been claims of a 3-megapixel camera rather than a 5-megapixel but the Vietnamese retailer listing sticks with 5-megapixels. The Nokia Normandy/X is reported to be coming on a forked version of Android 4.4.1, similar to the approach Amazon uses on its Kindle Fire range of tablets. It is claimed the Android software on the handset won’t look like the typical Android we know from many other smartphones, but will have support for Android applications. Previously images leaked from @evleaks show what appears to be Android, but it isn’t enough to confirm the operating system despite it looking nothing like the Windows Phone OS we have come to know. But the shots do suggest apps such as Skype will be on board. An image also appeared from @Picturepan2 showing a slightly clearer look at the expected OS. It certainly looks simplistic, and supports the story of a budget handset. However, the most recent images from @evleaks present a heavily modified Android interface that looks similar to Windows Phone with both the tile approach and a multi-size set-up. There are also similar apps including Twitter, Skype, Nokia Here maps, BlackBerry Messenger, Internet and Store, which we assume is a custom app store in lieu of Google Play. 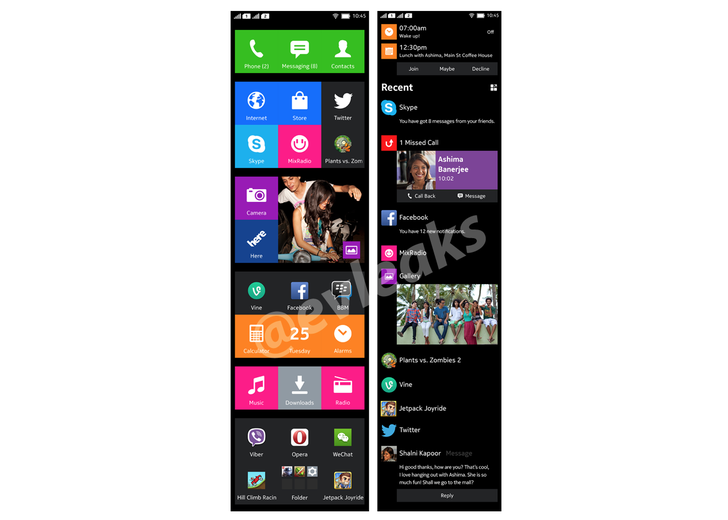 The user interface appears to be a mix between Android and Windows Phone 8, picking up on a number of different design points from each. Certainly, as it is at the moment, the Nokia Normandy/X doesn’t look like it’s going to launch into the Android smartphone race and try to divert us from the likes of the Samsung or HTC. More recently, the Nokia Normandy/X’s appearance on the Vietnamese retailer’s site confirm its Google-friendly innards. The device is listed as featuring Google services including Google Now, Google Play Store and YouTube. 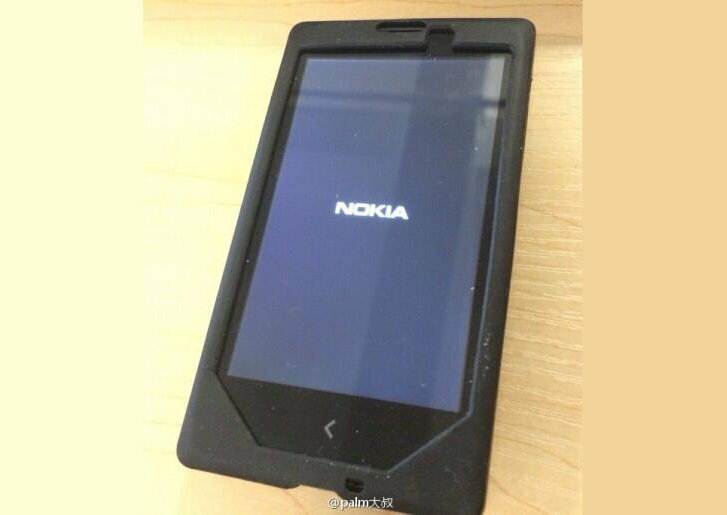 We’ll continue to listen out for information on Nokia’s mystery device and we’ll update when we learn more.